LUX Scotland is pleased to present the final of four tour dates across Scotland to mark the cinematic release of Andrea Luka Zimmerman‘s Erase and Forget, (2017). This major new investigative documentary explores and exposes the decades of militarism, gun culture, toxic masculinity and social unrest that led to the age of Trump. 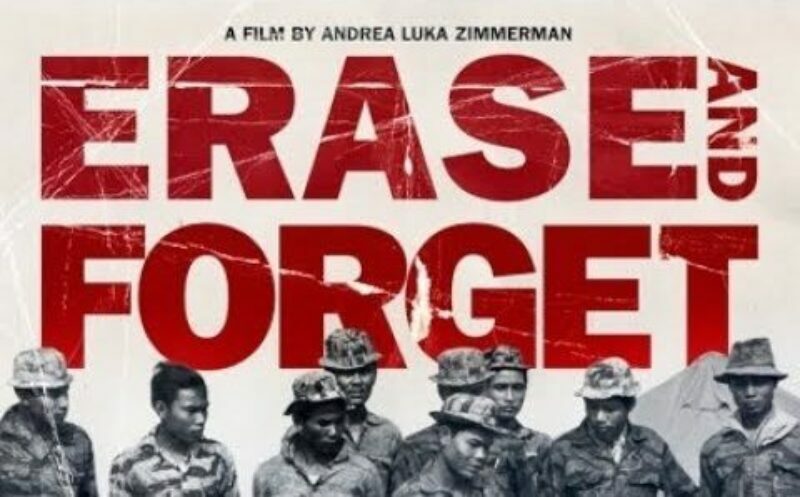 The film explores ‘the deep bonds between Hollywood’s fictionalized conflicts and America’s hidden wars’ through a complex portrayal of controversial US soldier, whistle-blower and ex-presidential candidate Bo Gritz. 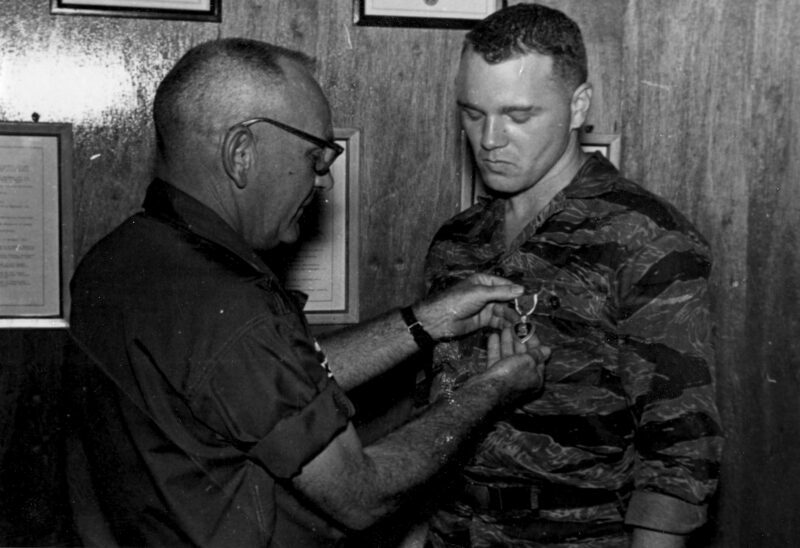 One of America’s highest decorated veterans, the ‘inspiration’ behind Rambo, Colonel John ‘Hannibal’ Smith (The A-Team) and Brando’s Colonel Kurtz (Apocalypse Now), Gritz was at the heart of American military and foreign policy – both overt and covert – from the Bay of Pigs to Afghanistan, before turning whistle-blower and launching anti-government training programmes. Today he lives in the Nevada desert where he once secretly trained Afghan Mujahedeen, is loved by his community, and still admired as a hero figure by white supremacists for his role in the Ruby Ridge siege in 1992. This event was a key turning point in the rise of the far right and militia anti-Government groups in the US. Filmed over ten years, Zimmerman’s film is an artist’s perspective of an individual and a country in crisis. Erase and Forget explores the implications on a personal and collective level of identities founded on a profound, even endemic violence. It examines the propagation of that violence through Hollywood and the mass media, the arms trade and ongoing governmental policy. Deploying confessional and exploratory interviews, news and cultural footage, creative re-enactment and previously unseen archive material, the film proposes a multi-layered investigation of war as a social structure, a way of being for individuals and countries in what is becoming an era of ‘permanent conflict’. The venue has step free access to all floors. Erase and Forget is based on PhD research by Andrea Luka Zimmerman, supported by The Arts And Humanities Research Council (UK). Additional support from The Wapping Project Commissions with funding from Women’s Playhouse Trust. Development support from Film London’s FLAMIN’, Arts Council England, and New Danish Screen. Andrea Luka Zimmerman, Erase and Forget, 2017. Courtesy of the artist and LUX.